Steeped in tradition, the original St. Eugene Mission is an impressive turn of the century stone building. The St. Eugene Resort is the only project in Canada where a First Nation decided to turn an icon of an often sad period of its history into a powerful economic engine by restoring an old Indian Residential school into an international destination resort for future generations to enjoy. Framed by the Rockies, the Purcells and the famous St Mary River, the St. Eugene Golf Resort & Casino is a spectacular destination for getaways, vacations, conferences and retreats. Owned and operated by SEM Resort Limited Partnership, comprised of the Ktunaxa Nation, Samson Cree Nation and Mnjikaning First Nations, the resort is a full service, four and half star hotel. Within its historic walls and the connecting Lodge are beautifully appointed, modern guestrooms and conference facilities. 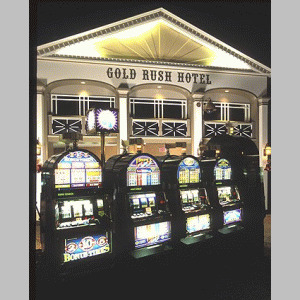 Also on site is the Casino of the Rockies – decorated in a “Gold rush Boom town” theme with 226 slot machines, 12 table games and Fred’s Saloon. The Resort offers the best dining in the vicinity ranging from clubhouse BBQ’s at the 19th Hole to casual elegance in our Purcell Grill. Our fitness centre features a fully equipped gym, steam room, sauna, year round heated pool and hot tubs. 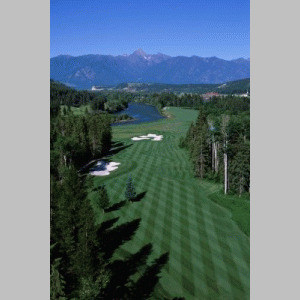 The St. Eugene Golf course more than matches the tradition of great golf in the Kootenay Rockies. Designed by acclaimed architect Les Furber, it is indeed a masterpiece in an incredible setting. The golf course winds its way through open links land, rolling woodlands and spectacular views of the St. Mary River. Opened in May of 2000, the St. Eugene Golf course met with immediate accolades from golfers and in 2001 was included in the top 3 best new Canadian Golf course category by Golf Digest magazine. The course has four sets of tees measuring from 5,398 yards at the front markets and 7007 yards from the championship tees. Please visit St. Eugene Golf Resort & Casino Website.